(a) Loosen the two screws of the sensor. (b) Insert a thickness gauge 0.58 mm (0.0228 in.) (7M-GE) or 0.70 mm <0.0276 in.) (7M-GTE) between the throttle stop screw and lever, and connect the ohm-meter to terminals IDL and E2. (c) Gradually turn the sensor clockwise until the ohm-meter indicator deflects, and secure the sensor with two screws. 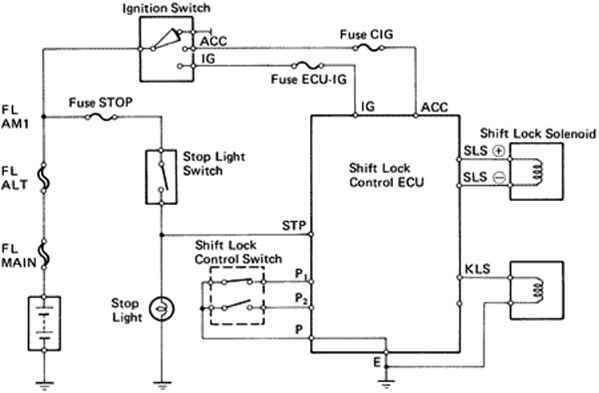 (d) Using a thickness gauge, recheck the continuity between terminals IDL and E2. How to adjust tps sensor toyota supra? 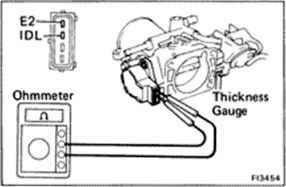 How to fix Supra MK3 Throttle Position Sensor? 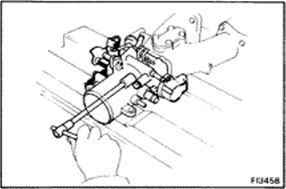 Where is the throttle stop screw on a toyota carina? 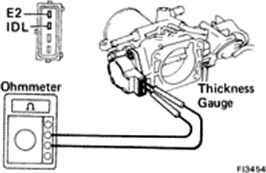 How to adjust tps sensor on 1988 toyota supra? How to adjust tps sensor toyota 7mgte? How to calbrate tps on 87 supra 7mgte? How to adjust tps on a 2002 sequoia?